“As of earlier this month (6 April 2014), disclosure of information to a Member of Parliament by a whistleblower may be protected. Whistleblowing law protects workers that disclose information about malpractice at their workplace or former workplace provided certain conditions are met. The conditions concern the nature of the information disclosed and the person to whom it is disclosed. If these conditions are met, the Employment Rights Act protects the worker from suffering detriment as a result of having made the disclosure. The Public Interest Disclosure (Prescribed Persons) (Amendment) Order 2014 added MPs to the list of ‘prescribed persons’ to whom disclosure may be made. Other than MPs, the list comprises mainly regulatory bodies. Each prescribed person may receive information in respect of specified matters relevant to its function. This means disclosure to that person will generally only be protected if the whistleblower reasonably believes the information relates to one of those matters. This is interesting. Love the idea that disclosure to an MP may be protected. Who decides whether it is or not – the MP themself or some other authority ? Just thinking, wouldn’t it be good to have a Whistle Blowing Law which protects everyone who discloses information about malpractice at any local or governmental authority ? Er, what ? We already have this and it’s called the Committee on Standards and the Committee on Privileges (previously known as the Committee on Standards and Privileges) ? So, who would be in charge of that then … … … ? 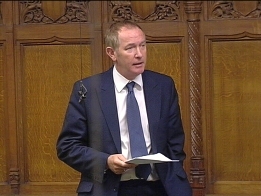 This entry was posted in Uncategorized and tagged Committee on Privileges, Committee on Standards, Kevin Barron MP, parliament, Public Interest Disclosure, Rother Valley, whistleblowing. Bookmark the permalink.